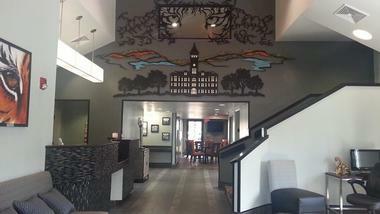 Campus hotels range from renovated historic properties on campus offering bed and breakfast accommodations to modern boutique chains such as Scholar Hotels. Many area hotels also cater to university visitors, offering convenient access to campus stadiums, museums, and venues and allowing future students to try out campus life with complimentary passes to university facilities. Washington Duke Inn is an English-style hotel located on the campus of Duke University, within convenient driving distance of attractions such as the Brightleaf Square historic shopping district. Its refined guest rooms and suites are furnished with country house amenities and offer marble bathrooms, flat screen premium cable televisions, Keurig coffee makers, and complimentary wireless internet. Two restaurants are offered on site, including the upscale Fairview Dining Room, which serves high tea, and the casual Bull Durham Bar. Guests may make use of the hotel’s Robert Trent Jones-designed golf course, indoor pool and hot tub, fitness center, and three-mile jogging trail. Child care services are available at an additional charge for visitors traveling with young children in tow. Hanover Inn is a historic hotel located within the campus of Dartmouth College, showcasing colonial-style rooms furnished with classic hardwood furniture and modern amenities such as mini fridges, flat screen televisions, and free wireless internet. The hotel was originally the home of Dartmouth steward General Ebenezer Brewster and served as a tarven until its conversion in 1903 into a hotel building. Its PINE restaurant offers farm-to-table fare crafted from locally-sourced New England ingredients, while its lobby offers a wine bar and complimentary fresh-baked cookies. 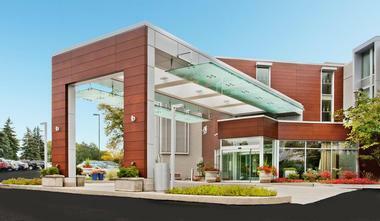 Other guest amenities include a fitness center and 11,000 square feet of business and meeting space. The hotel is connected to the Hopkins Center for the Arts and the Hood Museum and offers convenient access to nearby attractions such as the Montshire Museum of Science and the Appalachian Trail. 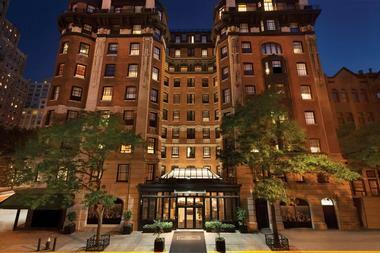 Hotel Belleclaire is a historic Beaux Arts-style hotel within Manhattan’s Upper West Side that has been used as a filming location for a number of feature films and television series, including How To Be Single and Jerry Seinfeld’s Comedians in Cars Getting Coffee. 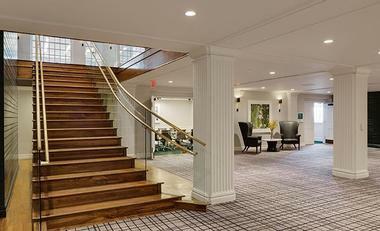 The 1903 hotel is located less than a block from Riverside Park, providing convenient access to Columbia University’s campus and major New York City attractions such as Lincoln Center and the American Museum of Natural History. 244 simple, elegant rooms offer flat screen televisions, iPod docks, and C.O. Bigelow brand bathroom amenities, while family-sized suites sleep up to six guests. Some themed suites within the hotel honor American luminaries such as Babe Ruth and Mark Twain. Gourmet coffee shop beverages and pastries are available at the hotel’s Mille-Feuille coffee bar location. The Carolina Inn is located adjacent to the University of North Carolina at Chapel Hill campus, housed within a historic 1924 building. Elegant rooms and suites are decorated with vintage university photography and offer amenities such as flat screen televisions, mini fridges, and iPod docks, with in-room spa services available for an additional fee. ADA accessible rooms are also available upon request. Onsite dining options include the award-winning new American restaurant and bar Crossroads and the Pittsboro Street Provisions grab-and-go marketplace. Onsite amenities include an exercise room, a laundromat, and a business center. Free shuttle service is offered to attractions such as the North Carolina Botanical Gardens and Battle Park. 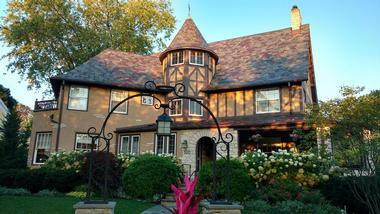 Stone Porch by the Lake is housed within a restored 1889 beachfront Tudor mansion, located along the shores of Lake Michigan less than a mile from the campus of Northwestern University. The upscale bed and breakfast offers five beautiful suites to choose from, furnished with amenities such as organic beds, in-room thermostats, and private bathrooms stocked with complimentary Turkish bathrobes and H20 Plus Aquatics products. A 24-hour guest kitchen offers light snacks and a coffee and tea station, and a common-use living room features a game table and Samsung 4K television. Guest accommodations are also offered on the mansion’s slate patio, which features couch and ottoman seating and a 20-foot brick fireplace. The entire facility may also be rented for large groups of up to 10 guests. The Hotel at Auburn University is a sophisticated upscale hotel located on the university’s campus, located less than half a mile from the Jordan-Hare Stadium. The hotel offers modern guest rooms and suites with walk-in rainfall showers, 32-inch flat screen televisions, and premium linens, with upgrades available to executive rooms and suites with private sitting areas, wet bars, and campus views. Several onsite dining options are offered, including the Mediterranean-style Ariccia Trattoria and the Piccolo cocktail lounge, which presents live jazz performances weekly. 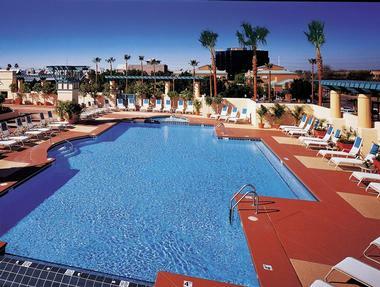 An outdoor pool is offered, along with a 22,000-square-foot conference center and state-of-the-art fitness center. Scholar Hotel is located less than a block from the campus of West Virginia University in downtown Morgantown, offering the closest option to on-campus living for visiting families and prospective students. 41 spacious guest rooms are offered at the non-smoking hotel, which feature amenities such as 55-inch LCD televisions, mini fridges, Keurig coffee makers, and free wireless internet. Corner and living room suites are available, featuring king beds. 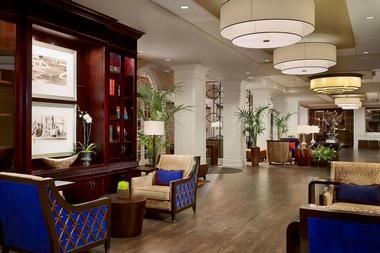 Two onsite dining and bar options are offered, including a relaxed lobby cafe serving breakfast, lunch, and dinner. Nearby attractions include Mountaineer Field and restaurants such as the Iron Horse Tavern and Morgantown Brewing Company. Green Mountain Suites is less than a five-minute drive from the University of Vermont and is easily accessible from Burlington International Airport. 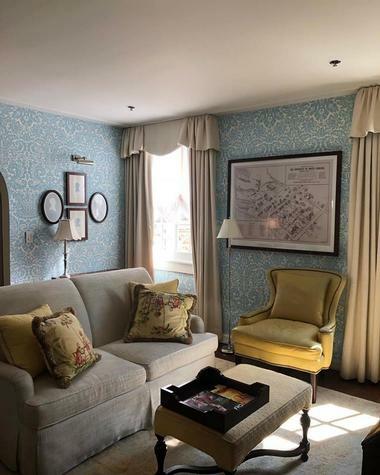 The charming all-suite hotel is located within a three-story clapboard building and offers suites with full kitchenettes, living rooms, and dining areas, featuring amenities such as flat screen televisions, whirlpool tubs, and private fireplaces. Complimentary hot breakfast and evening wine receptions are offered for visitors, and local craft beer is served at the hotel’s bar. Guest facilities include an indoor pool and hot tub, a fitness center, and a courtyard barbecue area with fire pit. Hotel Deca is a 1931 Art Deco-style hotel that is located within the heart of Seattle’s University district, less than a 10-minute walk away from the University of Washington campus. The hotel’s contemporary-style rooms and studios offer 32-inch flat screen televisions, iPod docks, and free wireless internet, while its chic suites add amenities such as private terraces and slate bathtubs. The hotel offers guest facilities such as a 24-hour fitness center and rooftop bar serving light American fare. Complimentary bikes are available for guest use for exploration of nearby attractions such as the Burke Museum of Natural History and Culture, the Seattle Space Needle, and the Woodland Park Zoo. 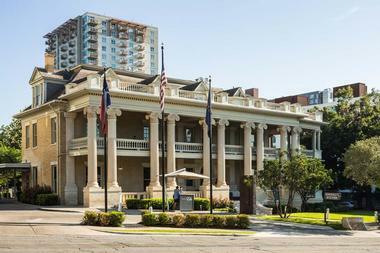 Hotel Ella is housed within the Goodall Wooten House, a 1900 Greek Revival-style mansion that has recently been renovated, respecting its rich downtown Austin history while providing guests with top modern amenities and facilities. The boutique hotel is located within walking distance of the University of Texas at Austin campus and attractions such as the Sixth Street cultural district. 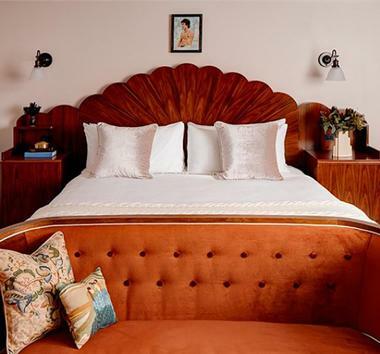 It offers 47 guest rooms featuring amenities such as custom-curated minibars, 47-inch LED televisions, and complimentary microfiber bathrobes, and bath and beauty products stocked by The Vintage Round Top. Suites add access to private verandas and walled garden terraces. Sophisticated American cuisine is served at Goodall’s Kitchen, while handcrafted cocktails and craft beers are served at the Parlor Bar. Works by Texan artists are showcased throughout the hotel, including a collection of modernist sculptures by Charles Umlauf. Hotel Ignacio is located adjacent to St. Louis University within the city’s Midtown district, less than a five minute walk from cultural attractions such as the Fabulous Fox Theater and the Moto Museum. The hotel’s 49 pet-friendly modern rooms and suites are decorated in arts and music themes and offer amenities such as Tempur-Pedic mattresses, work desks with ergonomic chairs, and cable televisions. Two restaurants are offered on site, including the motorcycle-themed Triumph Grill and the upscale Baiku Sushi Lounge. Other guest facilities include a fitness room, a business center, and complimentary bikes available for checkout for exploration of the city’s attractions. Hotel Tillman is located less than a mile from the campus of Clemson University and provides convenient access to on-campus facilities such as the Brooks Center for the Performing Arts and the Littlejohn Coliseum. Rooms offer double queen or kings beds and upscale amenities such as HDTVs, Keurig coffee makers, microwaves, and mini fridges. The hotel’s breakfast bar serves complimentary continental breakfast, including items such as sausage gravy and biscuits, omelets, waffles, and fresh fruit. A gym and business center are also offered, along with free wireless internet throughout the building. Top area attractions are less than a 20-minute drive from the hotel, including the Walker Golf Course, Anderson Mall, and the South Carolina Botanical Garden. HotelRED is Madison’s first boutique hotel, located directly across the street from the campus of the University of Wisconsin. All of the hotel’s studio and suite rooms are decorated with contemporary artwork and feature amenities such as flat screen televisions, private kitchenettes, and fully-furnished balconies, with DVD players and game consoles available for in-room use upon request. Locally-sourced comfort food dishes are served at the Wise Restaurant and Bar, which offers outdoor seating in fair weather. Shuttle service to area attractions is offered, along with complimentary grocery pickups, membership passes to area pools and fitness centers, and seasonal use of loaner bikes, paddle boats, and kayaks. Hutton Hotel is a four-star, four-diamond hotel located within Nashville’s upscale West End district, less than a mile from the campus of Vanderbilt University. The eco-friendly lifestyle hotel was opened in 2008 within a historic city landmark building near the city’s famed Music Row. 250 guest rooms and suites offer granite baths, rainfall showers, flat screen LCD HDTVs, and elliptical machines, with upgrades available to penthouse suites with balconies offering panoramic views of the city. Globally-influenced Southern fare is served for breakfast, lunch, and dinner at the 1808 Grille and Bar, and a full-service spa and 24-hour fitness center are available for guest use. Live music is presented at the hotel’s Analog concert venue, and creative live-work space is available for resident artist use. 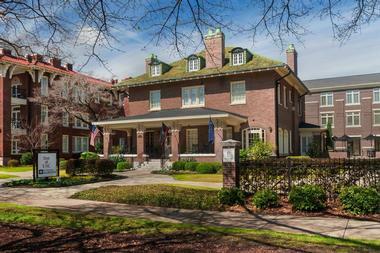 Inn at USC is the University of South Carolina’s onsite hotel, housed within a historic 1910 mansion that was originally constructed as a family residence. The upscale hotel is operated by Wyndham Hotels and Resorts and blends Gothic, Georgian, and Art Deco design influences, offering classically-designed guest rooms with modern amenities such as premium cable televisions, mini fridges, and complimentary wireless internet. Suites upgrade to premium amenities, including wet bars, private balconies, and whirlpool bathtubs. State-of-the-art fitness and business centers are provided for guest use, and complimentary hot breakfast is served each morning. The hotel is conveniently located near top area attractions such as the South Carolina State Museum, Riverbanks Zoo and Garden, and the Columbiana Center Mall. Iowa House is housed within the University of Iowa’s Iowa Memorial Union building, which serves as the center of the campus’ social and business activity. The hotel’s classically-furnished rooms and suites offer amenities such as flat screen televisions, coffee makers, and mini fridges, with some featuring private living spaces and wet bars. All guests receive free parking and complimentary continental breakfast, along with free use of all of the university’s recreational facilities, including the University Campus and Recreational Wellness Center, which offers a lazy river, rock wall, and state-of-the-art fitness equipment. 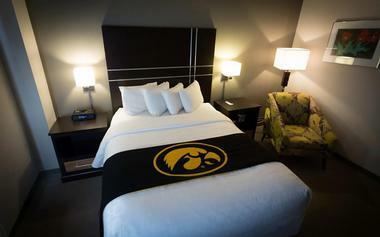 The hotel is conveniently located less than two blocks from downtown Iowa City, which is home to a large number of museums, stores, restaurants, and pubs. Ivy Court Inn and Suites is located directly across the street from the University of Notre Dame campus, offering easy access to the attractions of downtown South Bend, including the Studebaker National Museum and the College Football Hall of Fame. The eco-friendly hotel offers casual, comfortable double and king bed rooms with amenities such as mini fridges, coffee makers, and cable televisions, with suites upgrading to private sitting areas. A daily hot breakfast buffet offers made-to-order eggs and customizable waffles. A fitness room is provided, and bicycles may be rented for an additional charge for exploration of local attractions. Bluemont Hotel is located less than half a block from from Kansas State University within Manhattan’s hip Aggieville neighborhood. 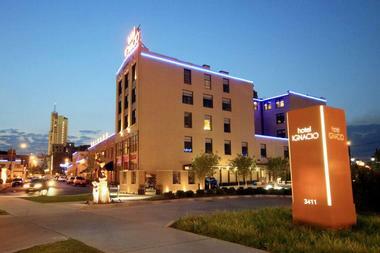 The upscale hotel features limestone and glass architecture and modern decor. Queen and king bed rooms are available, showcasing amenities such as mini fridges, flat screen televisions, and iPod docks. 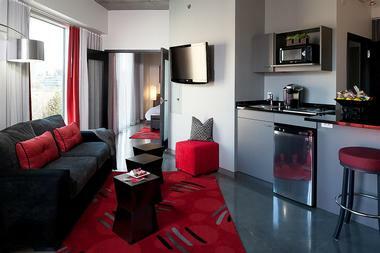 Deluxe suites upgrade to pull-out sofa beds and kitchenettes, while accessible rooms provide roll-in showers. Guest facilities include a state-of-the-art 24-hour fitness center, an indoor swimming pool and wellness center, and a rooftop beer garden. In addition to campus facilities such as the Ahearn Field House and Memorial Stadium, the hotel is conveniently located near top area attractions such as Sunset Zoological Park and the Flint Hills Discovery Center. 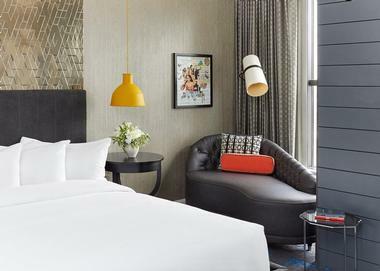 Study at Yale is a contemporary lifestyle hotel located within the heart of Yale’s vibrant Arts Campus, offering 124 guest rooms stocked with leather reading chairs, work desk areas, feather beds, and marble baths. Seven suites are available for upgrade, including a Presidential suite, featuring amenities such as stocked bookcases. The hotel’s Heirloom Restaurant and Lounge serves farm and coastal-inspired dishes using locally-sourced ingredients, while its lobby cafe is available 24 hours a day. 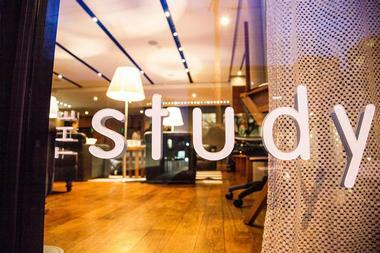 A fitness center, meeting space, and a library lounge are also available for guest use. 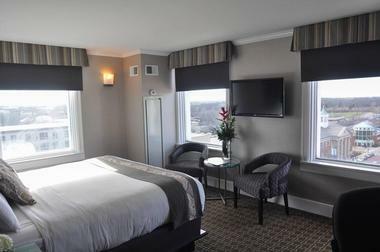 The hotel is less than a 10-minute walk from the New Haven train station, which connects the region to major East Coast cities, including New York City. Tempe Mission Palms is downtown Tempe’s only full-service hotel, located within walking distance of the Arizona State University Campus and attractions such as the Mill Avenue District. The four-star resort hotel offers spacious guest rooms and suites furnished with Southwestern-inspired decor and modern amenities such as flat screen televisions, rainfall showers, and mini fridges. The hotel’s rooftop deck offers an outdoor pool and tennis court, while its Harry’s Place and Mission Grill restaurants and lounges serve American and international fare. Shuttle service is provided to and from the nearby Sky Harbor International Airport. 30,000 square feet of conference and meeting space is also available for business use. 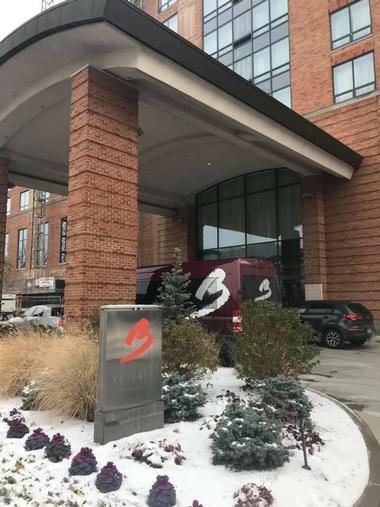 The Blackwell Inn is the only hotel located on the campus of Ohio State University, offering convenient access to its student facilities and sporting venues. 151 elegant guest rooms and suites contain pillowtop mattresses, flat screen televisions, Keurig coffee makers, and mini fridges, with suites upgrading to private kitchenettes. ADA accessible rooms are available upon request. The hotel’s Blackwell Bar and Lounge offers fireside drinks, while its 2110 Bistro serves a full menu at breakfast, lunch, and dinner. A 24-hour fitness center is also offered, along with discounted guest passes for use of recreational facilities at the university. The hotel is conveniently located near downtown Columbus’ arts and entertainment district, providing access to attractions such as the Chadwick Arboretum and Learning Gardens. Boar’s Head is the official resort of the University of Virginia, located less than three miles from the Morgantown campus and easily accessible from the Charlottesville Amtrak Station. The 573-acre resort offers a wide variety of upscale visitor amenities, including the 18-hole Birdwood Golf Course, indoor and outdoor tennis courts, an adults-only pool, and a spa and fitness center. 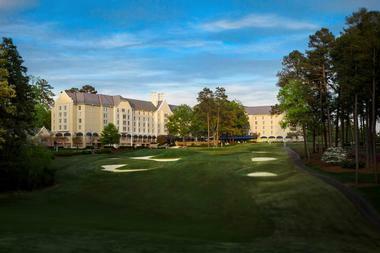 Four restaurants are offered on site, including the American-style Old Mill Room, small-plates cocktail room Bistro 1834, the Sports Club Cafe, and the Birdwood Grill. Contemporary rooms suites blend antique decor with modern amenities such as mini fridges, cable televisions, and private balconies. The Old Powder House Inn was recently voted as the best bed and breakfast in North America by Arrington Inn Traveler Magazine. 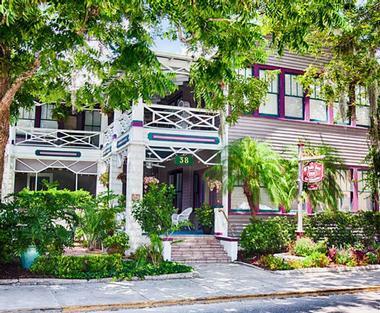 The Victorian-style property is conveniently located near Flagler College and area St. Augustine attractions such as the Lightner Museum and Castillo De San Marcos National Monument. Its nine historic rooms are filled with period-appropriate furnishings and antiques and offer private baths, with whirlpool tubs available in some rooms. 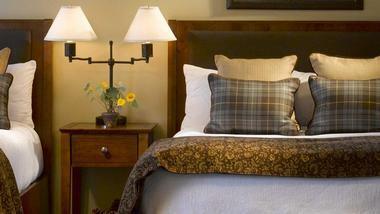 A larger suite is available upon request for groups of up to four guests. Gourmet breakfast is prepared each morning, highlighting dishes such as Eggs Benedict, quiche lorraine, and stuffed French toast, and sherry and pastries are served during the evening hours. The Tiger Hotel is located less than a 10-minute walk from the University of Missouri’s Columbia campus, conveniently located near the city’s shopping and dining districts. Spacious modern rooms offer flat screen cable televisions, Keurig coffee makers, and iPod docks, with upgrades available to suites with whirlpool tubs and private sitting areas. 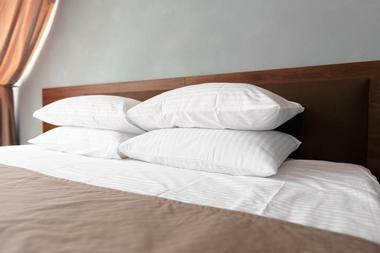 Concierge, laundry, and room service is offered at the hotel for all guests. Several onsite dining options are offered, including the historic 1930s-era Glenn’s Cafe, a local favorite that was relocated to the hotel in 2013, and the lower-level Vault speakeasy. Behind the hotel, the Industry nightclub presents live concerts and a dance floor with a DJ. 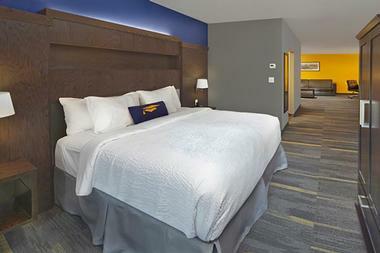 Weber’s Inn is located less than a seven-minute drive from the campus of the University of Michigan, offering sleek modern amenities in Ann Arbor’s West Side neighborhood. The recently-renovated hotel boasts 158 deluxe guest rooms and suites with flat screen televisions, mini fridges, and coffee makers, with upgrades available to rooms with balconies and pool views. Its award-winning Weber’s Restaurant serves steak and seafood dishes, while its Ventura Bar offers a full wine menu with flight tastings. The Habitat Nightclub showcases live music performances and a dance floor with a DJ. Guests may also take advantage of the hotel’s indoor pool and sauna, fitness center, and complimentary electric vehicle charging station.